A skin-saving super-gift, the star in a tube! Protect against the harshest winter can throw at us, with two element-defying skin heroes. 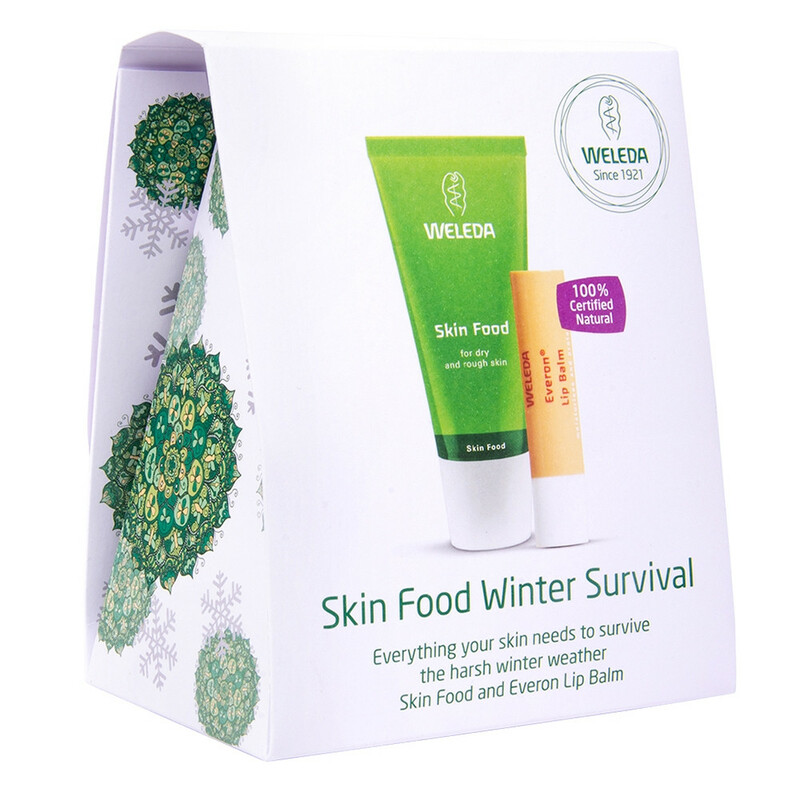 This ultimate natural moisturiser for dry, rough skin everywhere, Skin Food, together with the Everon Lip Balm, a kind friend to lips that suffer from dryness and cold weather. All wrapped up in a cute little winter survival pack.